I remember when a Nashville mastering studio ran an ad campaign reminding potential clients that music was for listening to—not just looking at. With the advent of digital recording, even lay listeners have grown accustomed to basic sound editing and the aesthetics of audio waves rendered on a timeline. One evening, after recording a new episode of a podcast, Nathan Moore and Bill Seaver shared some ideas regarding the look of the rendered waves in their audio software. Four years later, Epic Frequency was born. 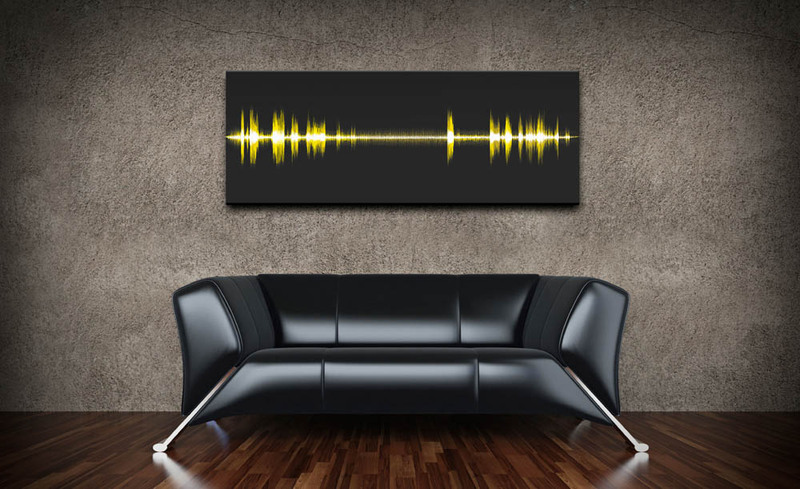 Epic Frequency offers limited-edition prints of classic quotes captured in wave form and printed on ready-to-hang canvases. From Neil Armstrong’s “One small step . . . ” to Ronald Reagan’s “Tear down this wall . . . ” to the entirety of Martin Luther King’s “I Have a Dream” speech, it seems there is an Epic Frequency print for every cultural bent. The sides of each print are adorned with QR codes, allowing collectors to listen to the original recordings, identifying the words represented within their wave design. 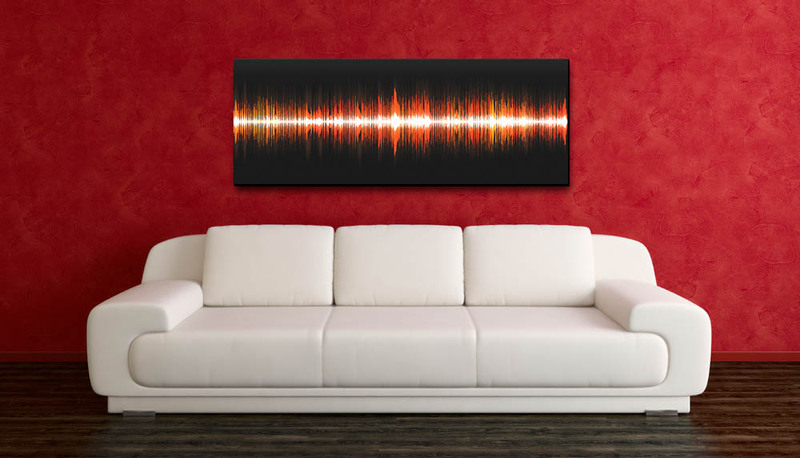 “Every Epic Frequency print is a unique work of art,” says Epic Frequency co-founder Bill Seaver. The company offers its prints in two sizes in runs of 5,000. “People that would like these prints would be people that appreciate the art but also appreciate the historical significance behind them,” says Seaver’s partner, Epic Frequency co-founder Nathan Moore. In fact, even the not so historical can be found on the EF site. They were offering prints of both Barack Obama’s and Mitt Romney’s 2012 convention speeches only weeks after they’d made them. 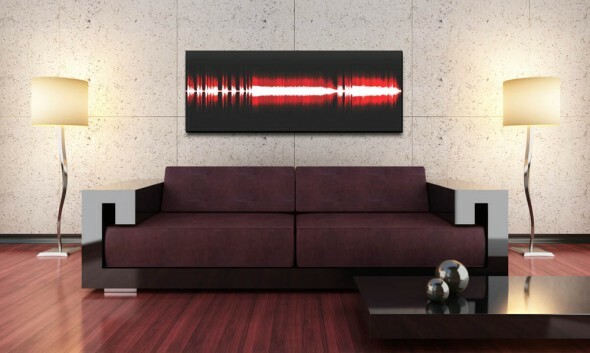 Of course, the duo also offers custom designs based on personal audio recordings. Know a songwriter with a birthday in the offing? Want to get an anniversary gift that “says” something special to a special someone? I wonder if I could get a “More cowbell!” I don’t see why not.